But he smiled, and died in his messmates arms. With the Starry Flag upon his breast! 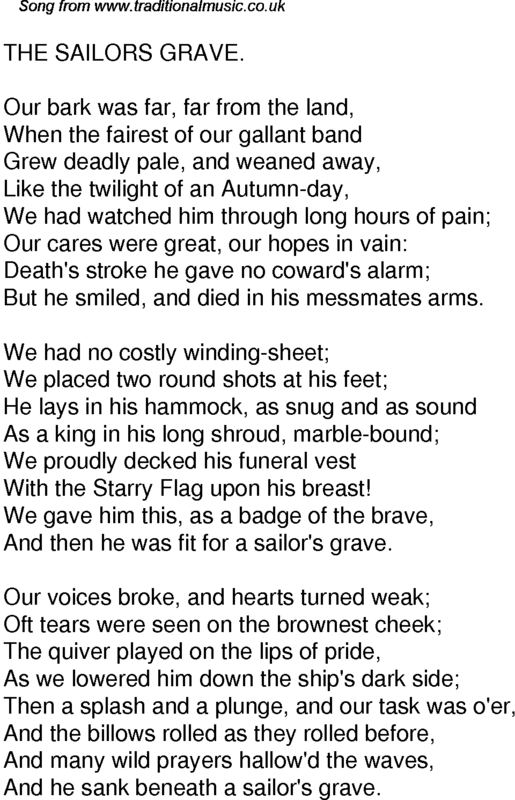 And then he was fit for a sailor's grave. And he sank beneath a sailor's grave.